Muiris Ó Droighneáin was born on 12 November 1901 in Newtownshandrum, An Ráth, County Cork. 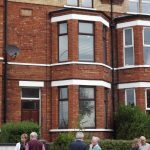 He was a teacher of Irish in St Malachy’s College, Belfast. During his career, he became an expert in the field of Irish grammar, and was renowned for ensuring that publications used a standardised form of Irish (An Caighdeán Oifigiúil). He married Róisín Ni Mhurchú in 1944 and had two daughters and a son. Ó Droighneáin was educated in University College Cork where he graduated in 1927 with his BA, taking honours in Irish and English. In 1928/29, he was awarded his MA which he completed under Torna (Tadhg Ó Donnchadh), Professor of Irish in UCC. It proved to be a seminal piece of research into the history of Irish language literature and was published in 1936 under the title Taighde i gcomhair stair litridheachta na Nua-Ghaedhilge ó 1882 anuas. 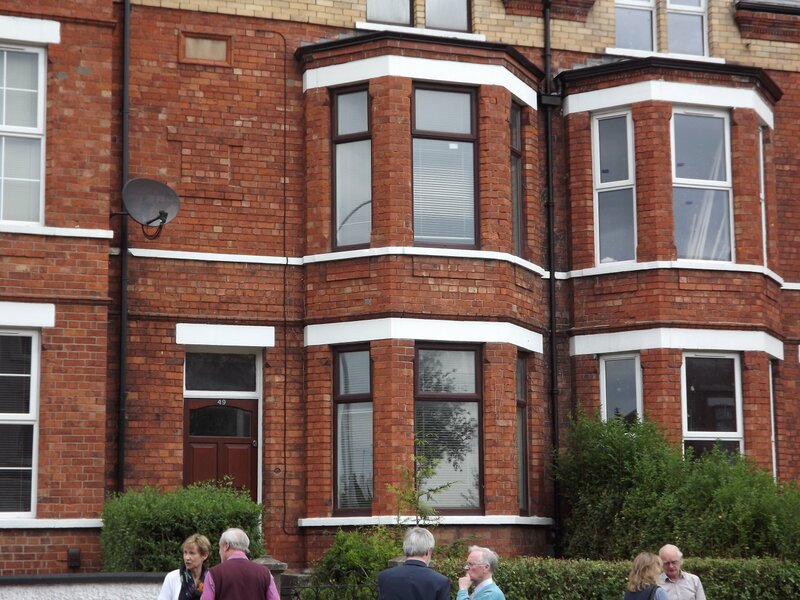 Many notable Irish scholars passed through the doors of Ó Droighneáin’s class in St Malachy’s. In 1944, Professor Proinsias Mac Cana (Dublin Institute of Advanced Studies and other universities) achieved the highest mark in Irish ever awarded in Northern Ireland. Other pupils included Professor Emeritus Gearóid Stockman (Queen’s University Belfast). 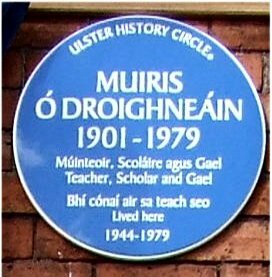 One of the first obstacles he encountered in his teaching career in Belfast was the difficulty in teaching Irish to Northern students using his Munster dialect, so he resolved to learn Ulster Irish and spent months in the Donegal Gaeltacht. From then on he was a strong supporter of Ulster Irish and when An Caighdeán Oifigiúil was being formulated by Rannóg an Aistriúcháin in the 1950s, Ó Droighneáin sat on a sub-committee, An Fo-Choiste Gramadaí, which was especially established to ensure that particular nuances of the Ulster dialect would be protected in the standardised form of Irish. Ó Droighneáin put his exact knowledge of Irish grammar and An Caighdeán Oifigiúil to good use with the publication of Nótaí Gaeilge, an instructional booklet for English speakers on the basics of Irish grammar. Closely related to An Caighdeán Oifigiúil was the production of English/Irish and Irish/English dictionaries. One of Ó Droighneáin’s other great interests was the correct form of Irish surnames, and one of his lasting achievements was the publication of An Sloinnteoir Gaeilge agus An tAinmneoir in 1966. Many people corresponded with him about surnames, some suggesting amendments or additions, others sharing their wealth of knowledge such as Éamonn MacGiollaIasachta (Edward MacLysaght), author of A Guide to Irish Surnames. Ó Droighneáin had a lifelong interest in the production and translation of religious texts into Irish, such as the Bible or the liturgy of the Mass, and he corresponded on such matters with An tAthair Pádraig Ó Fiannachta and An Cairdinéil Tomás Ó Fiaich. 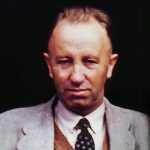 The scope of Ó Droighneáin’s work in the world of Irish grammar can be seen in the monthly articles he wrote for An tUltach, the journal of Comhltas Uladh of Conradh na Gaeilge, between 1933 and 1979. An index to An tUltach lists approximately 400 articles under his name. 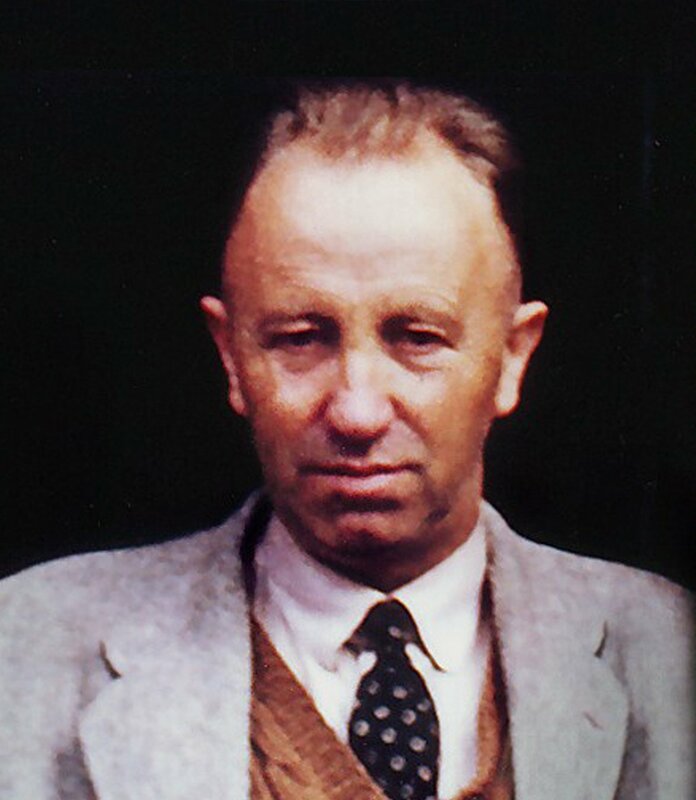 Ó Droighneáin died on 28 June 1979.